One would likely assume that the story of Chornobyl essentially ends right here. But in reality, the Soviet Union needed Chornobyl, meltdown or not. Although work on the fifth and sixth reactors was cancelled, the three remaining Chornobyl reactors were eventually brought back online. The thousands of plant workers, displaced from the city that had been built for them, needed a new place to live where they could easily commute to the plant. Again, the railroad proved its worth - about 50 kilometers east of the plant a relatively barren, and not heavily contaminated tract of land was chosen to build a new city. The railroad had a siding here, and the place was called Nerafa - but from then on it would be called Slavutych, an old Slavic name for the nearby Dneiper River. Before Slavutych was constructed, this tract of land was known as Nerafa. This photo shows the old Nerafa station, which was demolished for a larger station when the city was constructed. 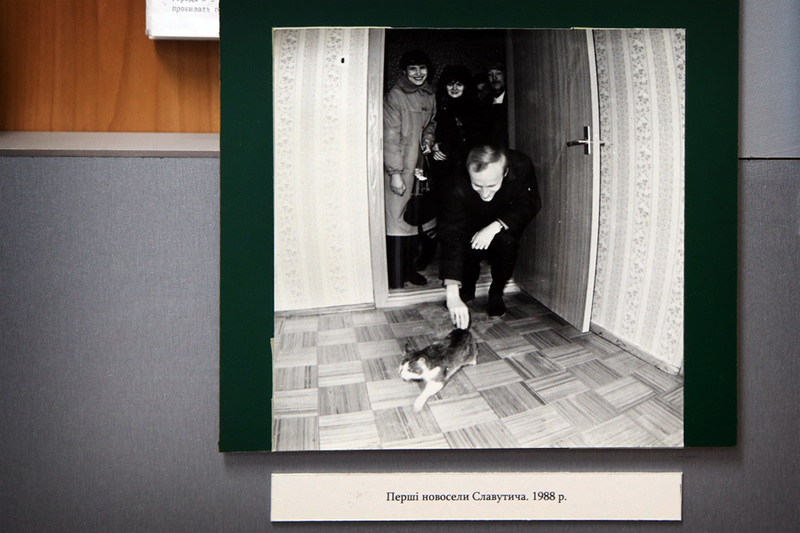 Photo from the collection of Evgenii Alimov, Local History Museum of Slavutych and Chornobyl. 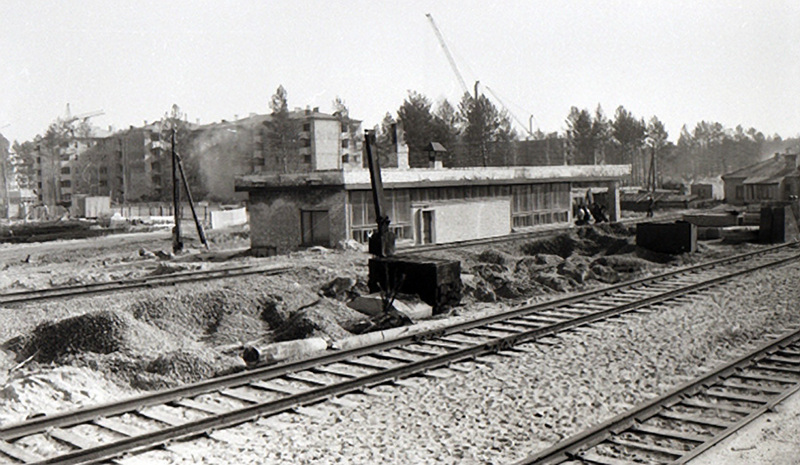 The announcement that a new city would be built for the workers of Chornobyl was made in October of 1986, and construction began a short time later. 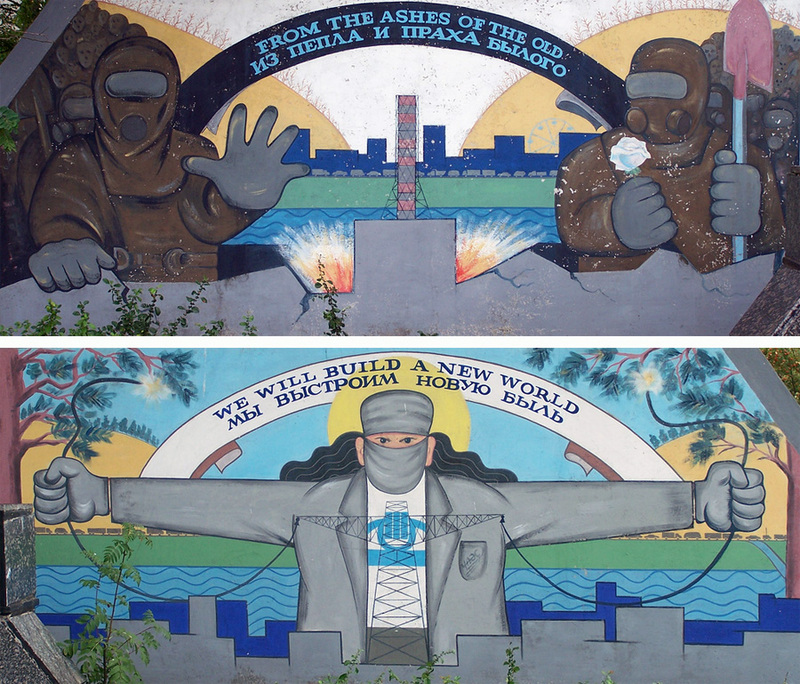 Built on a two meter deep layer of uncontaminated soil, Slavutych was a creation of the entire Soviet Union. Construction workers and architects from eight former Soviet republics contributed to the city's design, and the different districts of Slavutych are named for the capitals of these republics. By March of 1988, Slavutych was ready for its new residents. About eight thousand of the people displaced by the Chornobyl accident were children, and Slavutych was constructed with children in mind. The city has six kindergartens, four secondary schools, a large high school, as well as an art school for these children. 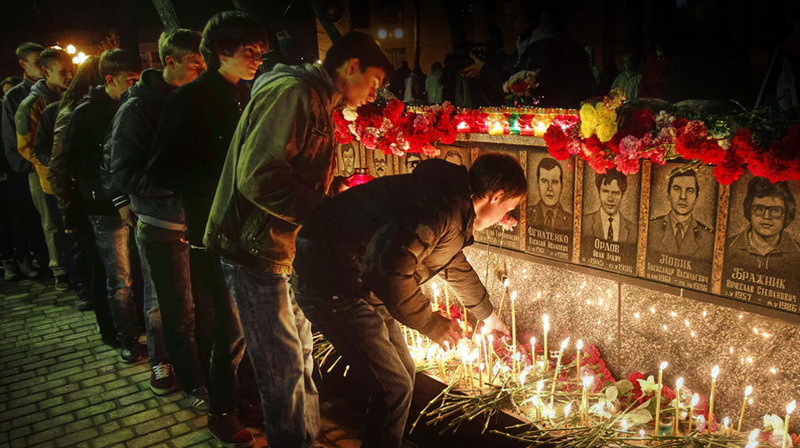 The other large demographic of residents in Slavutych are Liquidators of the Chornobyl disaster, many of who suffer from cancers and other radiation-induced illnesses. With around 25,000 residents, Slavutych has about half the population of former city Pripyat. 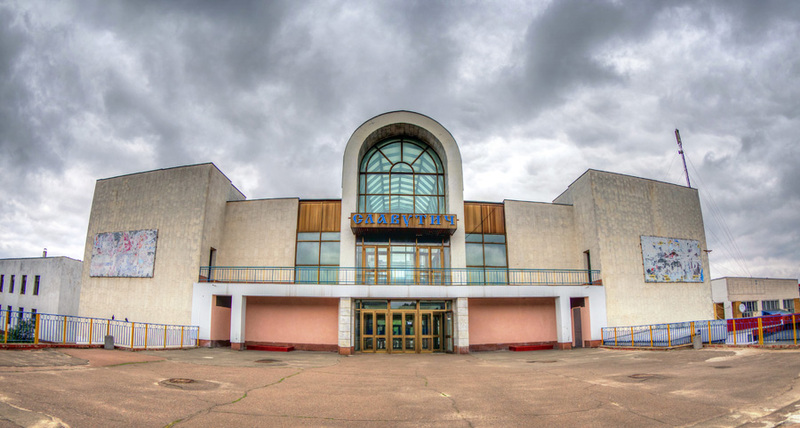 Found within the city of Slavutych is the Local History Museum of Slavutych and Chornobyl, operated by Evgenii Alimov. 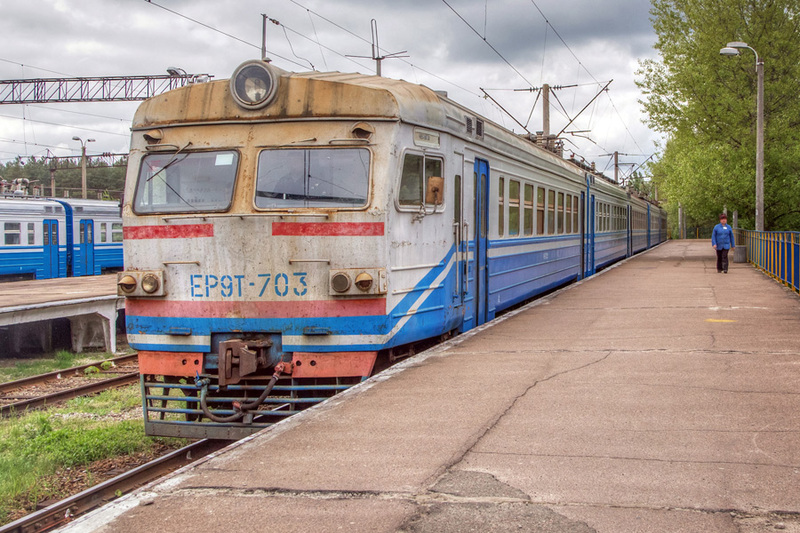 A former history teacher, Alimov is well versed in the local history and penned one of the only books about the railroads in the Chernihiv area. The museum presents a unique history of the Chornobyl disaster, the story of those that were displaced, and how they rebuilt their community from the ground up. Slavutych station, as seen from the train platform. 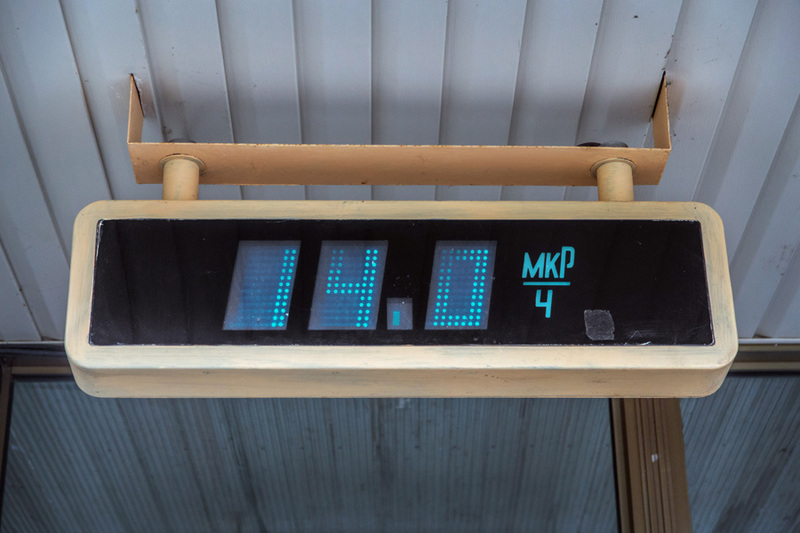 While some train stations have digital boards that display the time or date, Slavutych is unique in that it has one to show the current background radiation..
Close up of the digital display showing background radiation in Slavutych. .14 microsieverts an hour is a normal level of background radiation. Valeriy Khodemchuk, night shift pump operator. Killed in the initial explosion, and his body was never found. Vladimir Shashenok, automatic systems adjuster. His spine and ribs were broken in the initial explosion, and he was severely burned. Carried out of the plant by colleagues, he died without regaining consciousness. Aleksandr Lelechenko, deputy chief of the electrical shop. Received fatal dose of radiation trying to get feedwater pumps working. Vladimir Tishchura, Firefighter, received fatal dose of radiation fighting the fires at the plant. 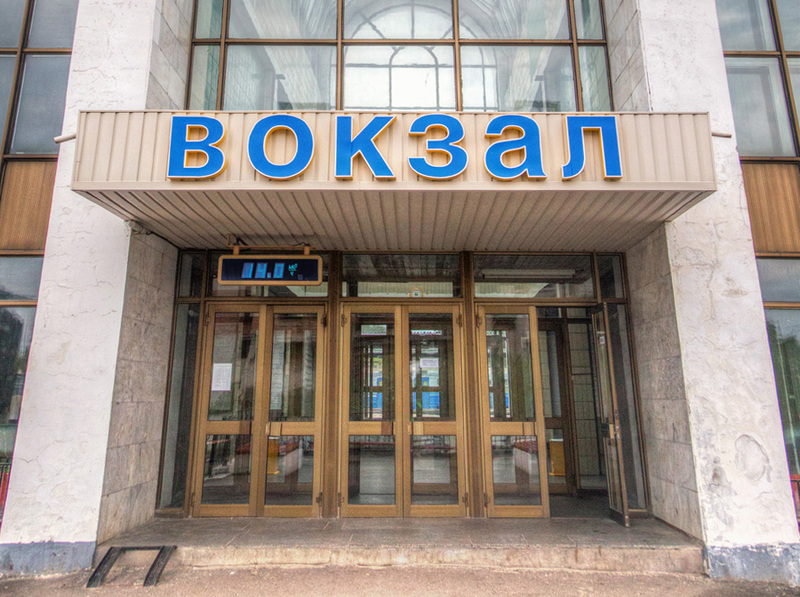 Aleksandr Akimov, Unit 4 shift leader, received fatal dose of radiation attempting to restart feedwater flow. Viktor Kibenok, Firefighter, received fatal dose of radiation fighting the fires at the plant. Vladimir Pravik, Firefighter, received fatal dose of radiation fighting the fires at the plant. 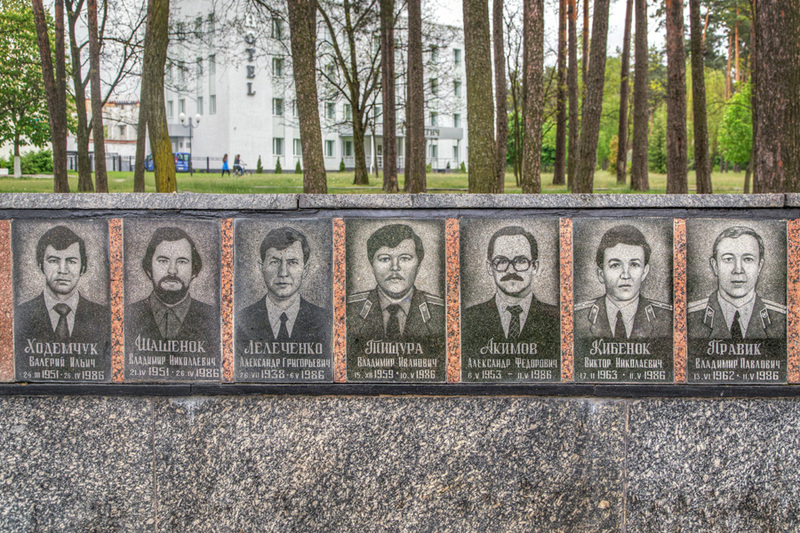 The full memorial to Chornobyl victims. The 30 people pictured were the first to die due to the disaster. Night view of buildings along the western side of Slavutych's main square. The building at right features the coat of arms of Slavutych, and the Ukrainian tryzub symbol in lights above. 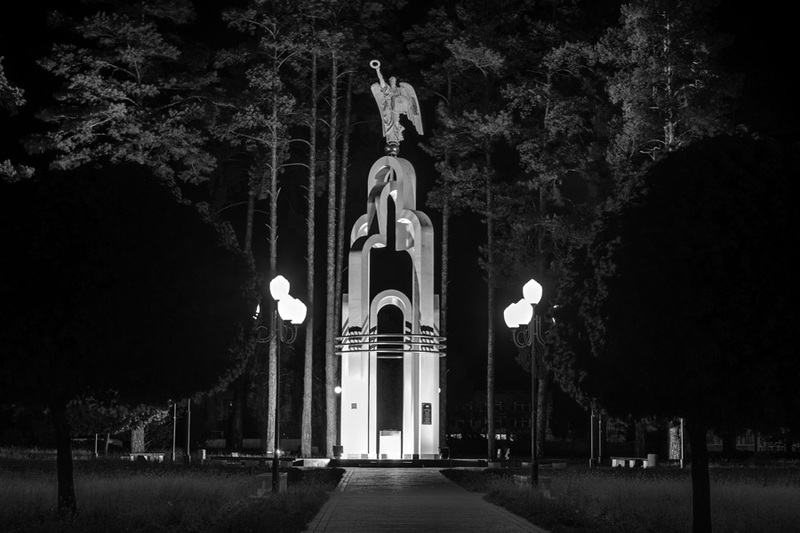 The White Angel of Slavutych memorial stands in the city's center square. 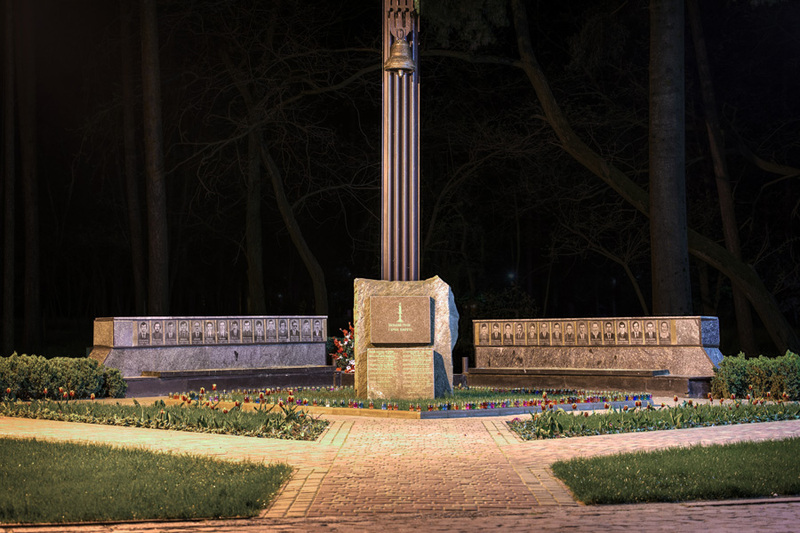 This monument was erected for the city of Slavutych's 25th anniversary. 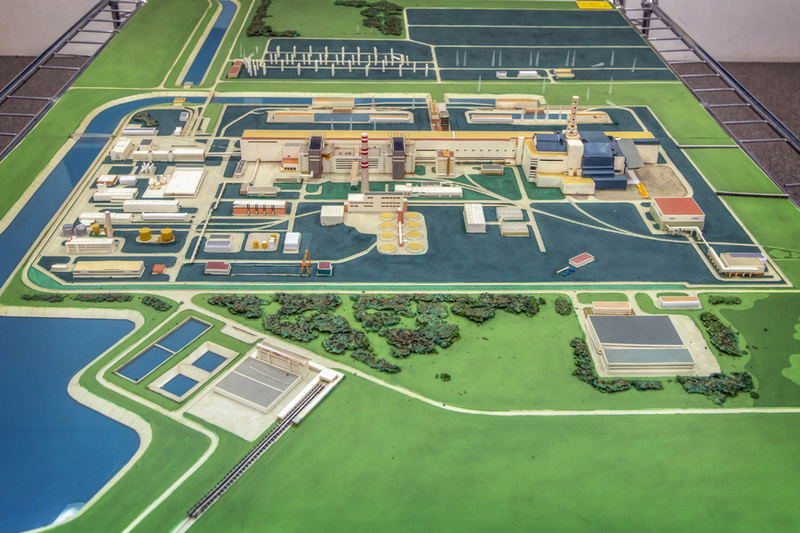 Model of the Chornobyl complex, from the Local History Museum of Slavutych and Chornobyl. 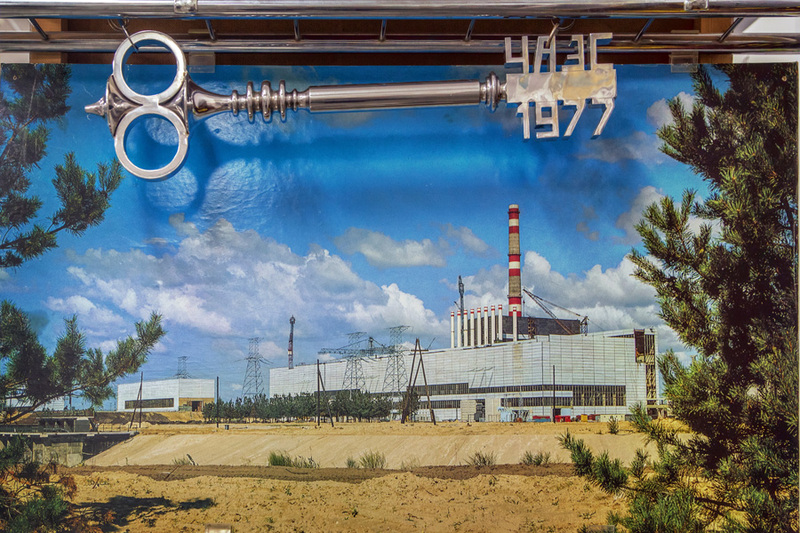 Chornobyl's first reactor, and the symbolic key marked with the year 1977, when the reactor went online. The Cyrillic abbreviation "ЧАЭС" stands for "Chornobyl Atomic Energy Station". 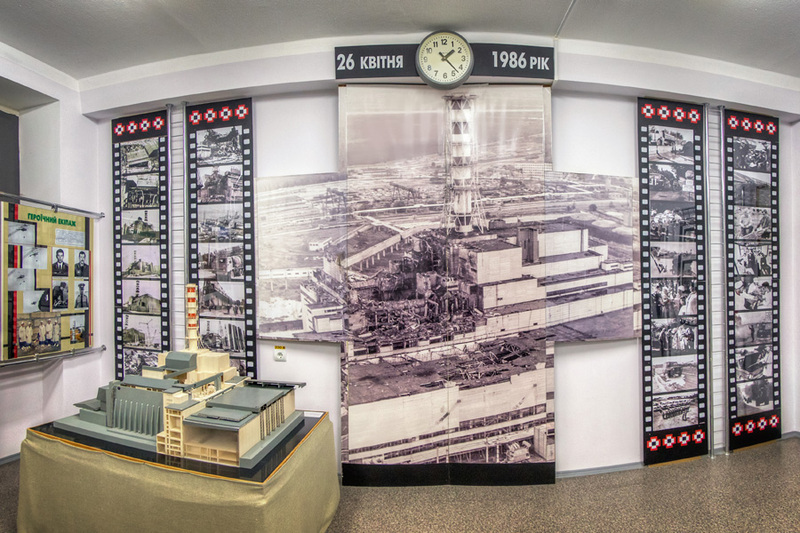 Exhibit at the Local History Museum of Slavutych and Chornobyl showing a model of the fourth reactor, a large image of the exploded reactor, and a clock showing the exact time of the explosion. 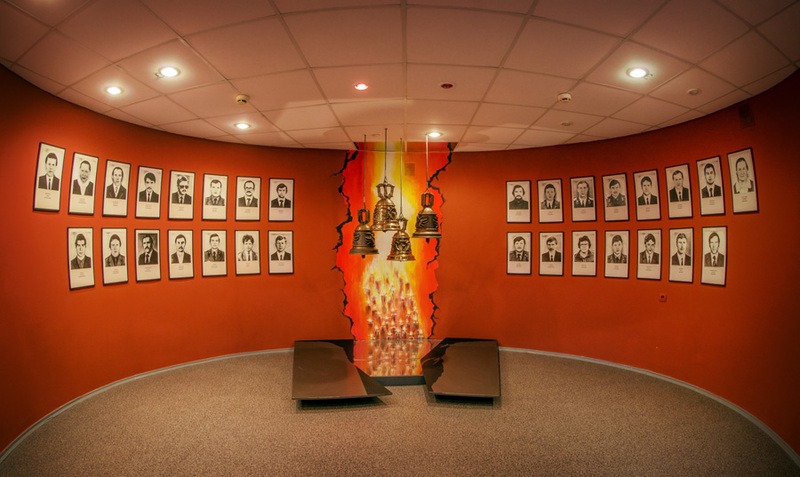 Another memorial to the first 30 people to die after the Chornobyl disaster, this one in the Local History Museum of Slavutych and Chornobyl. 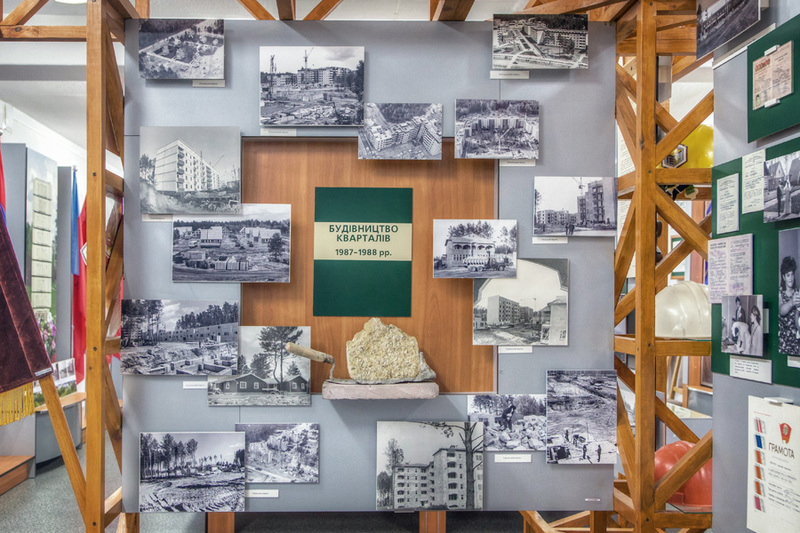 An exhibit at the Local History Museum of Slavutych and Chornobyl showing photos from the construction of Slavutych in 1987 and 1988. 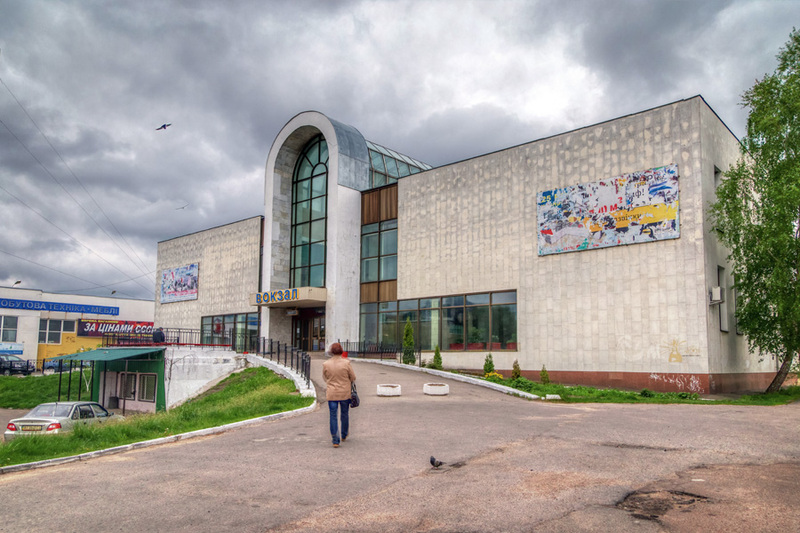 The Local History Museum of Slavutych and Chornobyl contains many stories of those displaced because of Chornobyl, and opted to live in Slavutych. This 1988 photo shows people moving into their new apartment - according to an old superstition, letting a cat enter a new apartment first is considered good luck. It is said that first place in which the cat lies down is where the bed should be placed. Regarded as the "youngest city" in Ukraine, Slavutych has a relatively low average age, and has one of the highest birth rates in the country. It is also unique in that practically every moment of its history has been recorded. 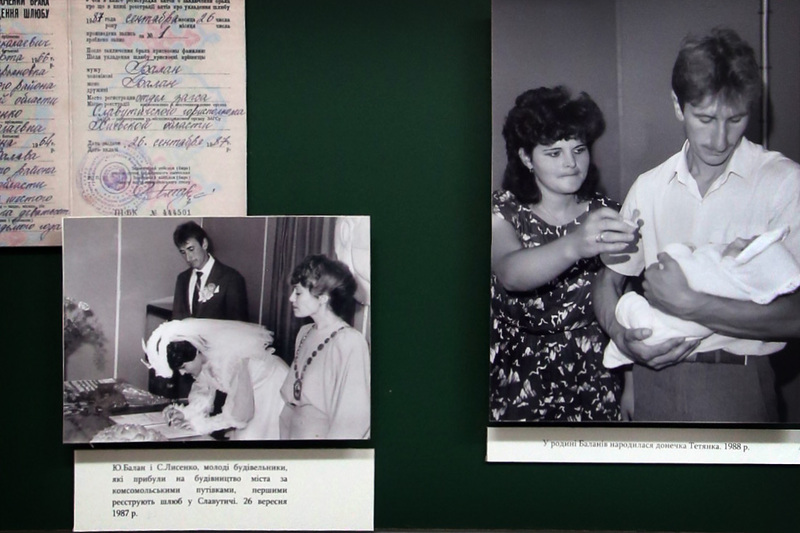 Slavutych's first wedding, (which was the first record in the city's new Young Communist League's books), and first baby born, were recorded for posterity in the Local History Museum of Slavutych and Chornobyl. The front of Slavutych's train station. 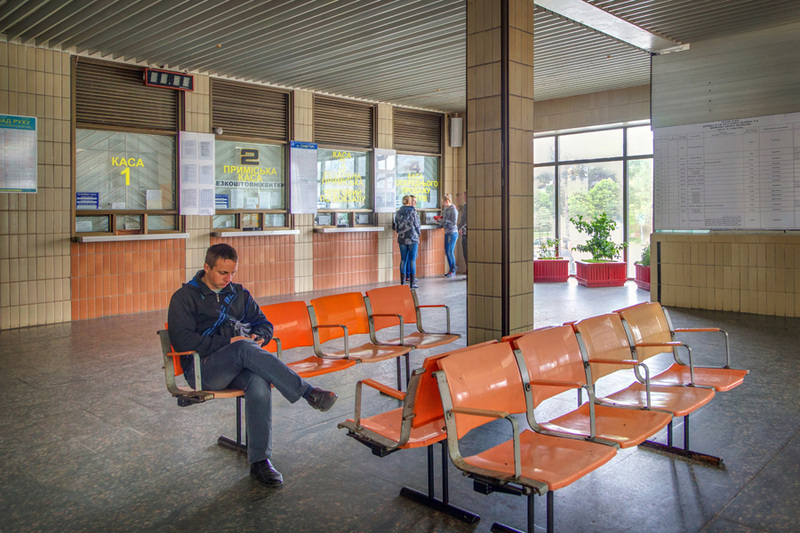 The ticket counters and waiting area in the Slavutych train station. 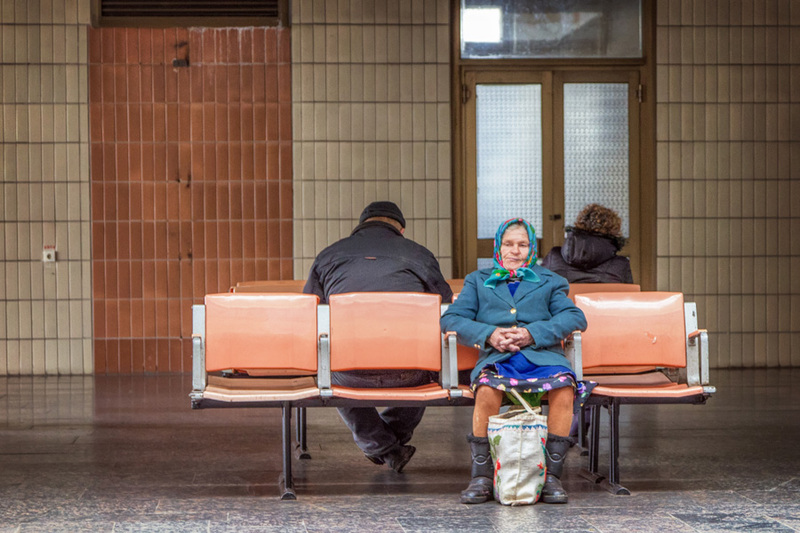 An elderly woman waits for the train to Chernihiv at Slavutych station. 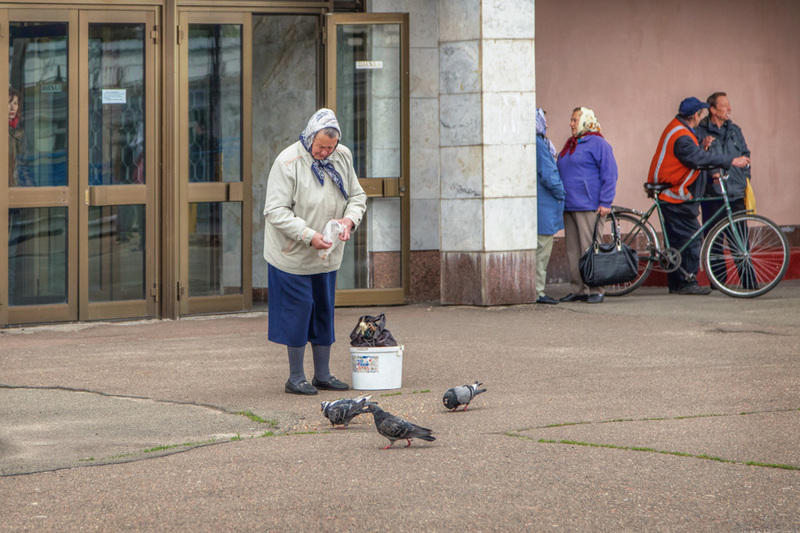 An elderly woman stands on the platform feeding the pigeons while waiting for the train to Chernihiv. 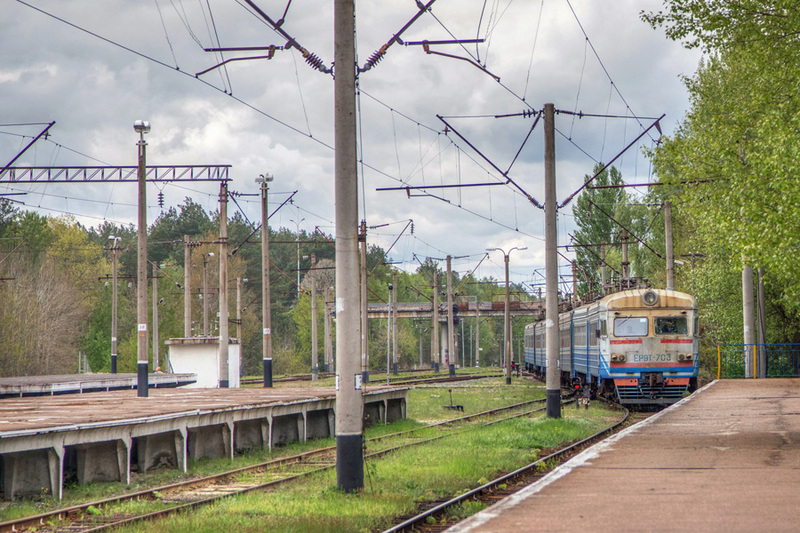 The train to Chernihiv, originating at Nedanchychi, arrives at Slavutych. Latvian-built ER9T electric locomotives are commonplace on suburban operations between Slavutych and Chernihiv.